At age 23, the third highest ranking Japanese player in the world, Maharu Yoshimura has taken the road to married life, Japanese media stated. This news broke out just days after Ai Fukuhara filed for her marriage license in Tokyo. Now it seems that the Japanese team is in a marrying season. The Japanese Team was placed on the headlines recently after their main player Ai Fukuhara announced her relationship with Chiang Hung Chieh going into a different level. Days after such news broke out, another member from the Japanese team was reported to have settled down as well. This time, it is the 23-year old Maharu Yoshimura from the Japanese Men’s Team. Japanese media reported that Yoshimura got married with his girlfriend who lives far from the spotlight. Reports further stated that the wife is also 23-years old and has just graduated from the university March of this year. Maharu Yoshimura took part in his first ever Olympic Games in Rio several weeks ago. It was a successful experience for him after he fought for the Japanese Men’s Team in the Olympic Team event. 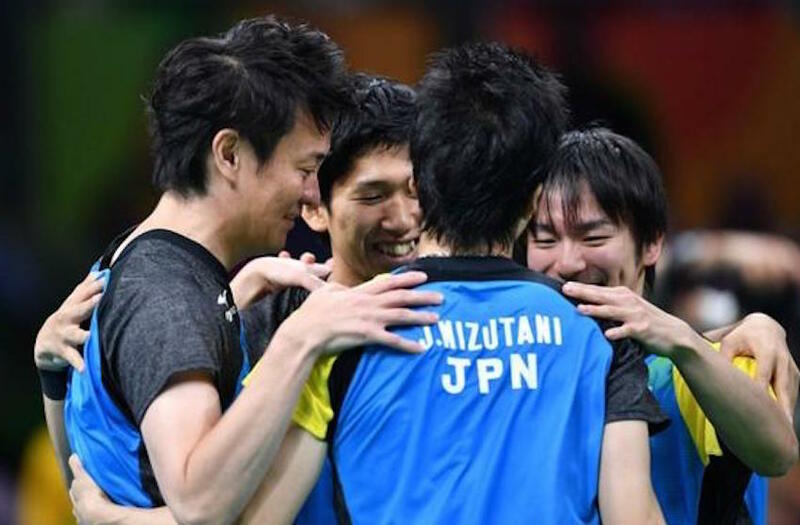 They settled with the Olympic silver, a much better achievement for Japan compared to 2012. The 23-year old player is currently the third highest ranking Japanese player in the world. He is at the 23rd spot and is expected to take part in the 2020 Olympic Games which will be held in Tokyo. “After Ai Fukuhara got married, Maharu Yoshimura’s news was even more surprising. It seems like after the Rio Olympic Games, it ushered a period of marriage,” a Japanese media said. This is not the first time we have known such surprising information from the Japanese Team. Last October 2014, the world was stunned after Jun Mizutani announced that he was already married and at the same time, a proud father to his first born daughter.